101 Best Workouts of All Time is the ultimate answer to the question "What workout should I do?" No matter what equipment you have available, from a fully stocked super-gym to a pair of mismatched dumbbells in your garage, or nothing but your body weight alone, you can build muscle, lose fat, and sculpt the physique you've always wanted. 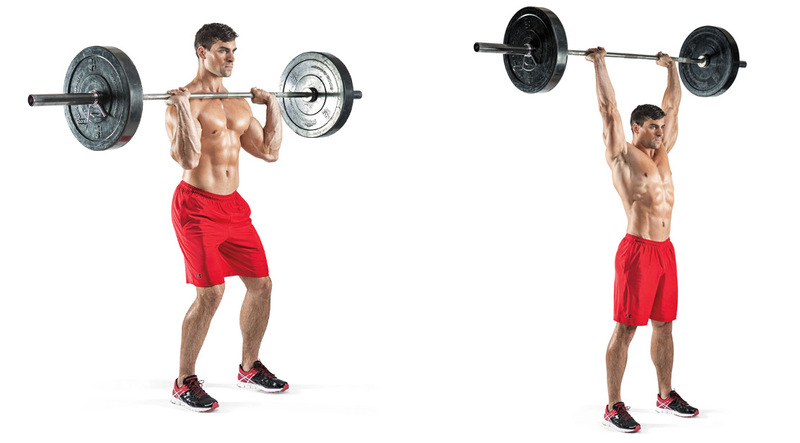 Perform the first exercise as straight sets. Exercises 2A through 2D are done as a complex, so choose one pair of dumbbells and use them for each move. Use a load that allows you to complete your reps on your weakest exercise in the series. Perform six reps for each of the exercises. Rest 90 seconds and repeat. For exercises 3A through 3D, adjust your equipment and loads as necessary, but perform them in the same circuit fashion. If you choose to repeat the workout, vary the sets and reps you perform on these last four exercises each session. This will help you to continue milking gains from the circuit for months. Rotate between 3 sets of 10 reps, 4 sets of 5 reps, and 2 sets of 15 reps.